Cake brand Mr Kipling is gearing up for a busy Easter. 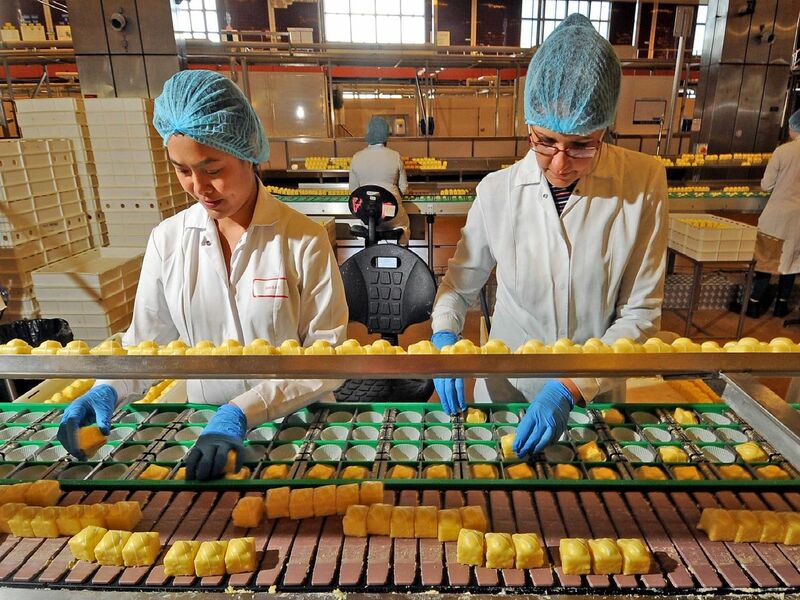 We were invited to tour parent company Premier Foods' factory in Carlton, near Barnsley, where the entire range of Mr Kipling Easter treats is made, including Lemon Slices, Lemonade and Elderflower Slices, Lemon Fancies, Lemon Whirls, Egg Fancies and Triple Chocolate Slices. Angel Slices are the most popular product, while on-trend Unicorn Slices proved to be one of the most successful new additions to the line. Carlton, which has been making Mr Kipling products since 1975, produces a billion cakes a year and can churn our 864 fondant fancies and 1,000 cake slices per minute. There are 750 core staff and 150 extra workers recruited at Easter, when 21million cakes are made every week.